Excel 2010 VBA is an object-oriented programming language. 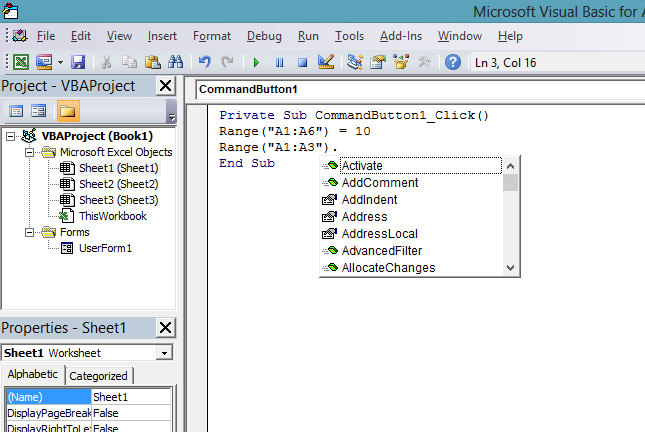 An Excel 2010 VBA object has certain functions and properties, and contain data. Some of the objects in Excel 2010 VBA are Workbook, worksheet, Range, Cells, Chart, Pivot Table and more. 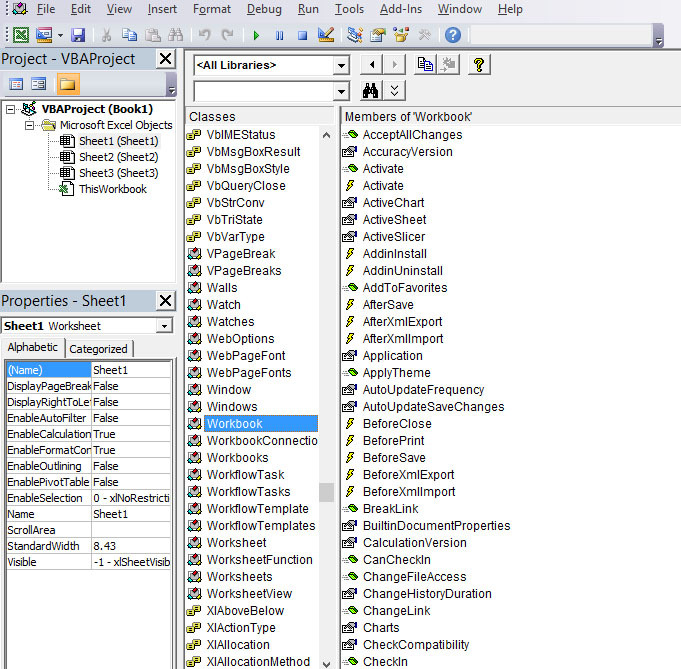 In order to view the Excel 2010 VBA objects, click object browser in the Excel 2010 VBA editor and you will be presented with a list of objects(or classes) together with their properties and methods, as shown in Figure 16.1. An Excel 2010 VBA object has properties and methods. Properties are the characteristics or attributes of an object. For example, Range is an Excel 2010 VBA object and one of its properties is value. We connect an object to its property by a period(a dot or full stop). The following example shows how we connect the property value to the Range object. , the color property of the object Font will fill all the contents from cell A1 to cell A4 with yellow color.